When a relatively unknown guy named Billy Morgan raised the bar with the world's first ever quad cork earlier this year, top snowboarders worldwide began trying to emulate the stunt. 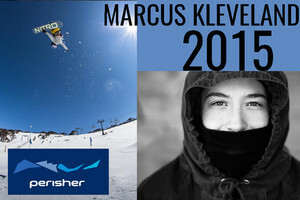 Max Parrot managed to pull it off, but Marcus Kleveland was left yearning for the right jump so he too could attempt it. His dream became a reality in Stubai recently, when he became the youngest snowboarder to ever stomp a backside quad cork 1800, and only the third to ever land one, period. This kid is on the path to superstardom.